As I continue to go through my archives of photos from my life abroad, I'm discovering some great shots of some early projects. The photos below are from my studies with Chlöe Scrivener. We worked on two very grand hats. This one is the Sinamay project. 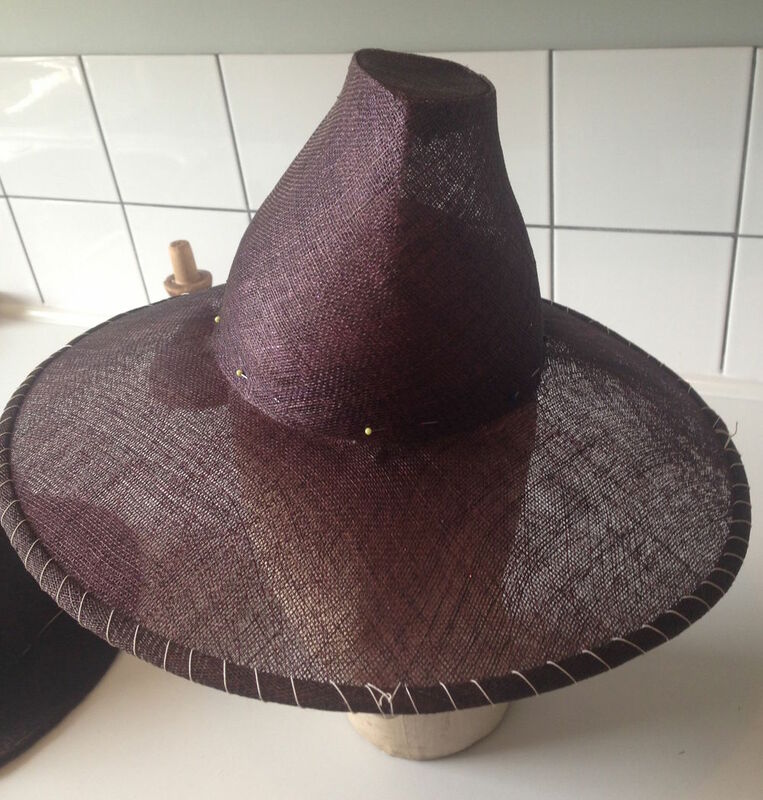 Created in Three separate pieces, two for the crown and one for the brim, using 3 layers of Sinamay. To get the material over the crown, the top is separate and seemed to the sides. The end result is a clean, smooth finish. With our second project, we worked with Parasisal. In this lesson, I learned how to extend the crown using Buckram which later on will be covered by fabric.